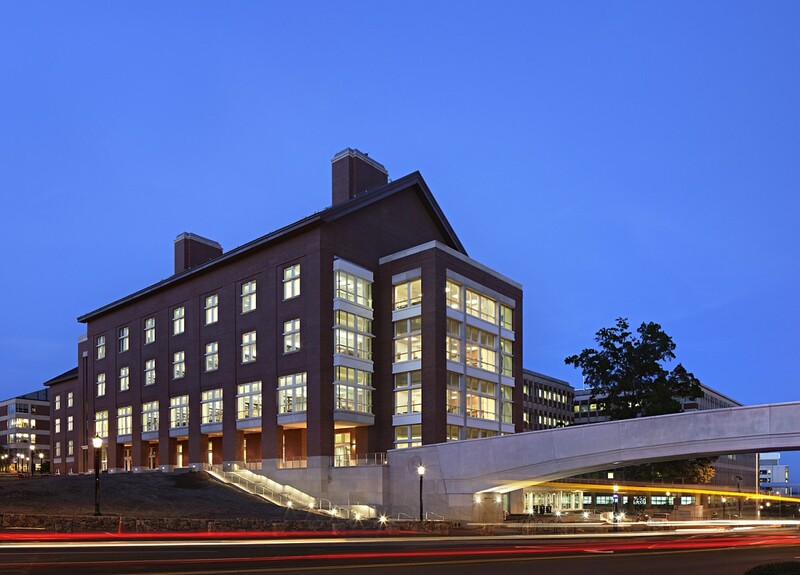 The University of North Carolina Dental Sciences Building incorporates the technological advances in dental sciences and expand its educational and research efforts into broader arenas. Implementation of this 475,000-square-foot, $124-million dollar project included the demolition of the Dental Research Building and Dental Office Building to make room for a comprehensive new building. The new structure will connect the remaining three buildings with the Dental Sciences complex. This project is on schedule to be the first LEED® Certified Silver project constructed on the UNC Chapel Hill campus. With the 2007-2008 record droughts, options for water conservation were reviewed by Stewart and the MEP consultants to determine ways to supplement rainwater for irrigation. Research determined that during the summer months, more than 1 million gallons of condensate from the air conditioners could be utilized. This amount is significantly more than can be used on site. The excess water will be used on campus in alternative ways, such as use for irrigation around campus in areas that are not currently irrigated. Stewart’s scope includes stormwater, sanitary and water system design, as well as final grading for the site layout. Design solutions will meet the university’s goal for sustainable management of stormwater and leverage Best Management Practices to exceed the stormwater treatment set forth by the Town of Chapel Hill.